The ClimaSouth project supports climate change mitigation and adaptation in 9 South Mediterranean countries: Algeria, Egypt, Israel, Jordan, Lebanon, Libya, Morocco, Palestine and Tunisia. The project was initiated in February 2013 and will be implemented over 48 months with a total budget of 5 million Euros provided by the European Union ( ENP ). Key stakeholders include technical government departments at operational and policy level, UNFCCC focal points, decision makers, and other stakeholders such as local government and civil society representatives. Its overall objective is to assist with the transition of partner countries towards low carbon economies and enhanced climate resilience. Climate Champions. An initiative involving the private sector in building more sustainable businesses and communities. Transparency of Climate Action. A short video, presenting a new Management & Information System for Climate Action (MISCA). The video reportage examines how current investments in the energy sector, may help the greening of the Jordanian economy, while contributing to climate action. Produced by the EU-funded ClimaSouth project, in collaboration with Jordan’s Ministry of Environment and the EU delegation to the country. A guidebook designed to assist companies to kick start their process of corporate climate action, has been published with support from the ClimaSouth project. 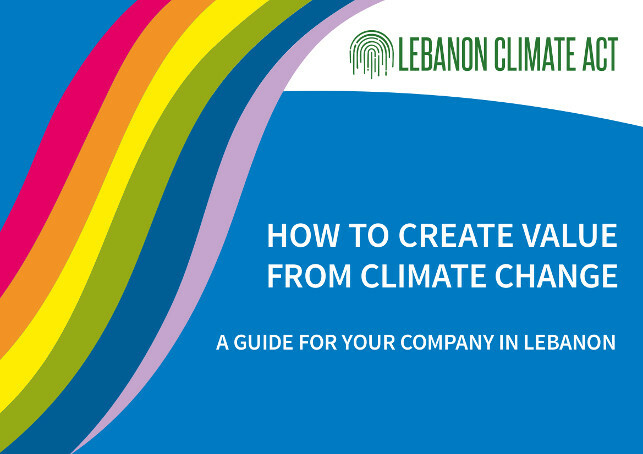 The guidebook, primarily intended for businesses in Lebanon, is a concrete outcome of the first year of the Lebanon Climate Act (LCA). The Lebanon Climate Act is implemented in partnership with the Green Mind NGO, the Chamber of Commerce, Industry and Agriculture of Beirut and Mount Lebanon (FCCIAL), the Central Bank of Lebanon and the United Nations Development Program (UNDP). The ClimaSouth project has produced a documentary on climate change in the Mediterranean region. In the aftermath of the historical Paris agreement, the documentary examines the reality of climate change through the experiences of ordinary people, and the insights of leading scientists and decision makers currently shaping the region’s agenda for climate action.